If you have just started a new business, you might be looking to create an online marketing campaign to get the word out. Chances are that you have come across various companies’ offers promising that they will manage your social media and your content. Unless you are sure that you and the company are on the same page, you will certainly have to look into personalizing your own digital marketing and getting out the message you want to communicate to your market. 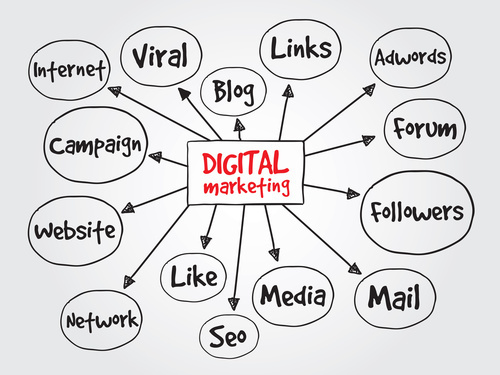 Below you will find five rules of digital marketing you need to follow if you want to be successful with your online promotions. Without creating a USP, you will not be able to stand out from the crowd and get noticed by your potential customers. You will have to start with online market research and find out what your competitors are saying about their offers and how they reach out to customers. You will need to find a way of providing more value than them if you want to stand out. It is also important that you automate some of the marketing, so you don’t have to spend hours on social media trying to post updates and engage with your audience. There are several ways you can automate your online marketing, including autoresponders, social media campaign managers, and newsletters or podcasts. Choose the method that is the most suitable for your industry and the expectations of your customers. It is also important that you implement testing in your marketing campaigns, or you will end up shooting in the dark. Instead of hoping for the best, you will need to measure your results in Google Search Console and other sites, so you can find out which headlines and content are doing well, and which campaigns are ineffective. This way, you can avoid wasting time and money on marketing methods that don’t work. To appear professional and maintain your reputation, you will need to make sure that you follow the marketing guidelines of your industry and comply with the current regulations. There are plenty of resources offering help for online marketers and you can find out what you need to do to meet your GPDR obligations with Jumio and avoid spam complaints and other issues. No matter how much you think of your business and its benefits for your clients, you shouldn’t make unrealistic claims. Every promotional content needs to be backed up by facts, as your customers are going to find out if you are making claims that are not true. You should only promise what you can deliver, instead of just offering the world just to get people to order from your online store. Check the facts, create case studies, and public statistics to increase your brand’s credibility. Digital marketing is challenging, and you can get burnt easily if you don’t follow the basic rules or try to do everything yourself.